If you have not had a chance to use a WordPress translation plugin before, don’t worry. The most important thing is to have knowledge of English as your second language and it is easier than you can imagine. New plugins are constantly developed to follow the needs of users, and a WordPress translation plugin would have a huge market to cover. It is well-known that the long-standing use of English boosts it to the peak of languages that are ​​commonly used. On the other hand, it is already clear that it loses online primacy and dominance even though more than 50 percent of the content represented online is just in English. The fact is that English is the original language of the Internet, but as time goes on, so does its share gradually. The number of websites created in other languages is growing. Therefore, it is expected that in the future the primacy of the English language for online use will decrease. We can safely say that Internet access markets are quite saturated with English as a first language, but markets that are developing bring new potential opportunities for development. Proof that language really is a major selling factor, is exemplified by the seller of clothing company ASOS, which increased its revenue by 39 percent immediately after they launched the Russian and Chinese versions of its Web site. Another example is Israeli lingerie retailer Under.me, which almost doubled their conversion rate in France and Germany, after its site, instead of relying solely on English language, translated to local languages. Why do you need to translate your website? Chinese and Arabic languages are great examples because they are ​​spoken and well governed by a number of current Internet users. Statistics show 50.4 percent of Chinese Internet penetration. Five years ago Chinese language had a serious intention to become the number one language on the Internet. While this has not actually happened, the fact remains that Chinese surfers are around the top of the ranks of Internet surfers in the world. As far as the Arabic language is concerned, it has a large percentage of 44.8 percent internet penetration in Arabic. This figure speaks for the greater use of languages ​​other than English for Internet use. These are just two of many examples of languages ​​with millions of Internet users such as, for example Spain with 58.2%, 50.1% Portuguese, Malay 34.5% and 25.2% French. It is a fact that language is a big sale factor. However, increasing the number of Internet users does not automatically mean increasing the number of your customers. What customers really attract is what you can offer them. The key role of language here is a factor for presenting your offer in a language comprehensible to the customer. Although if you ask users, perhaps many of them will declare that the cost of the ability for them to obtain information about a product in their native language it is more important for them. All companies and individuals engaged in online sales are facing a multilingual environment. For some people this is a standard and normal situation, such as countries that have more than one main language like Switzerland or Canada. In these types of countries there may not be a need for a WordPress translation plugin. It is especially important to have translation plugins for all those who are or plan to expand into these types of countries with a Multi-Language Environment. So, to clarify which WordPress translation plugin you could use? There are several options. 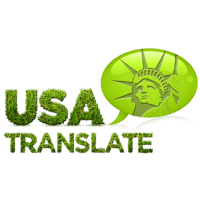 This online Web Translator allows you to translate documents, images but also websites, and there are plugins developed for it. Another option to use in order to have your website translated is Bing. Some of the translation plugins use Bing as an engine and it could be a good option. Free webpage translation from and into quite a few languages. It could get complicated to have it used in your website. Provides translation of web pages only for a certain group of languages ​​such as Russian, Portuguese, Italian, German, French and English. These services allow you to translate the contents of the page from one language to another. For each there is also a WordPress translation plugin which you could use in your website. 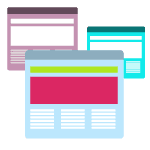 While these tools can help you translate and perhaps even to understand the content of the website, in no way can they be compared with professional website translation.